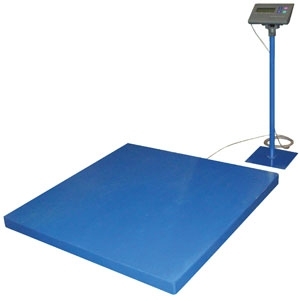 Low-profile scale is only 3-1/2" off the floor, allowing easy loading and unloading of heavy equipment. Rugged design has a steel diamond treadplate top surface. The digital display stands 42" high. Optional Approach Ramp for pallet truck accessibility - order two for drive-on, drive-off convenience.